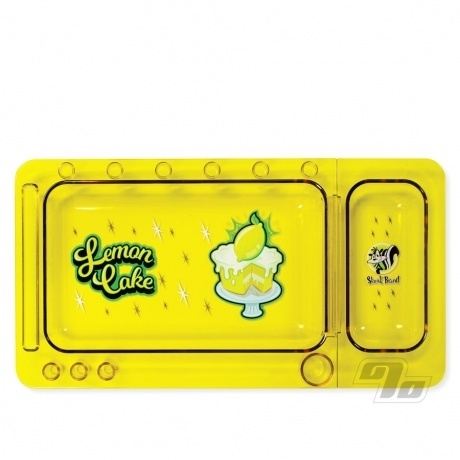 The Skunk Rolling Tray in translucent Lemon Cake yellow, is a multi-functional rolling and smoking tray. Complete with a removable, smaller tray, this tray from the maker of the original RAW rolling trays, is a must to make rolling at home or on the go easier. Use the larger section of the rolling tray to roll your smokes like normal, while the smaller tray can slide out so you can use it as a mini travel tray or even as an ashtray. 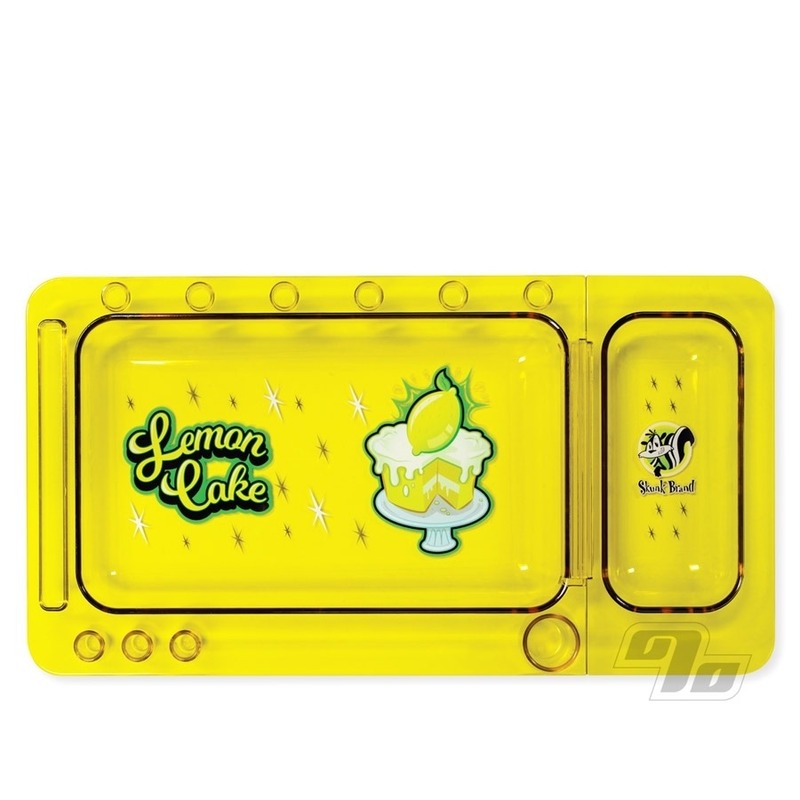 Fully assembled, the Skunk Brand Lemon Cake Rolling Tray comes in at 12" x 6 1/4" while the detachable mini rolling tray measures 3 1/8" x 6 1/4" on it's own. 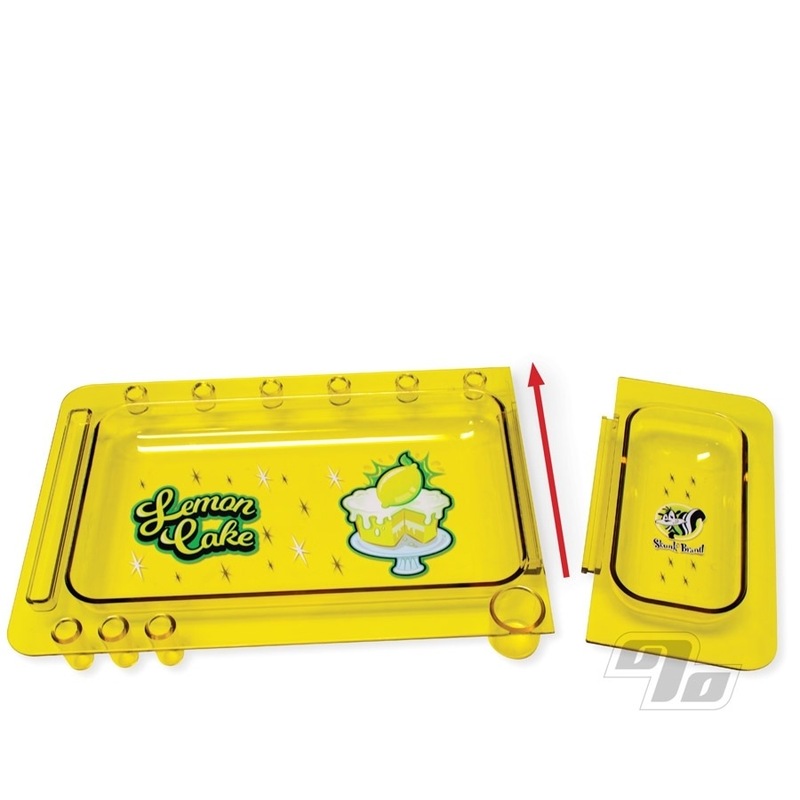 If you think this tray design looks familiar, it's almost identical to the Cookies Rolling Trays; the same manufacturer behind Skunk Brand made trays for Cookies too.